Lara Stone channels a 1970’s goddess in H&M’s new fall/winter 2015 advertising campaign. 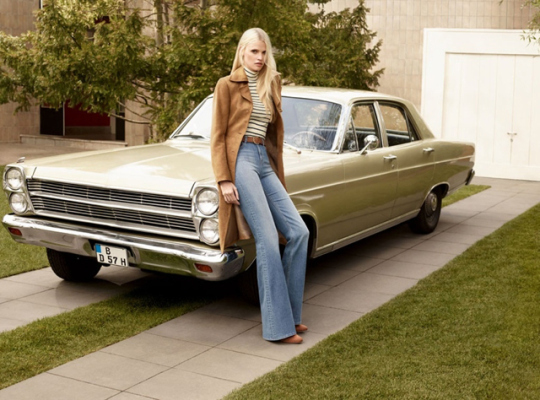 With a vintage 1970’s car in the backdrop, the Dutch model poses in seasonal pieces from the retailers forthcoming collection that include cropped jeans, flared jumpsuits and high-waisted pants. Check out the images from the campaign below.